Stamps have long been involved in the history of nations and highlight the nation’s culture and its values. Many stamps show important historical figures, current rulers and other political figures, and famous landmarks. Stamps also celebrate holidays and highlight plants and animals. Current stamps on sale in the U.S. show Paul Newman, Elvis Presley, Maya Angelou, Wilt Chamberlain, the forget-me-not, and the battle of New Orleans. 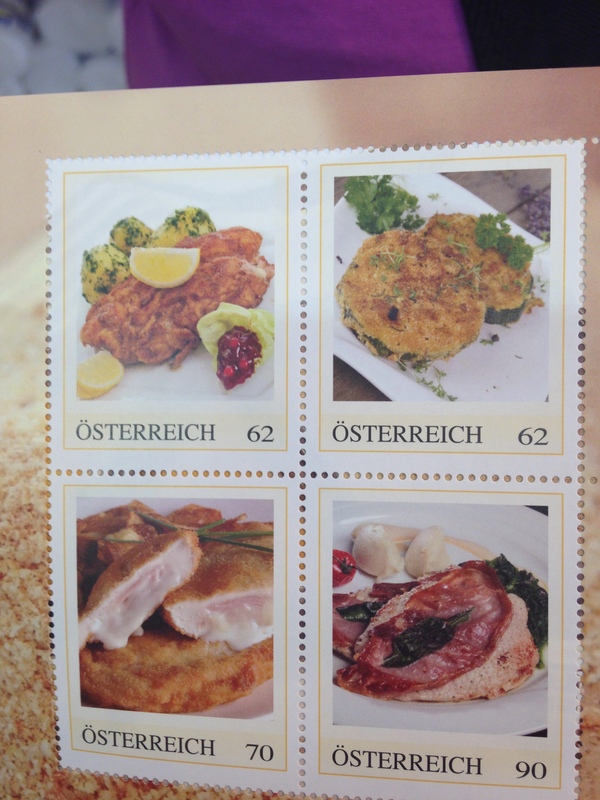 While Austrian stamps celebrate famous sights and people as well, they also show how important food is in its culture (I wrote about food in my last posting). 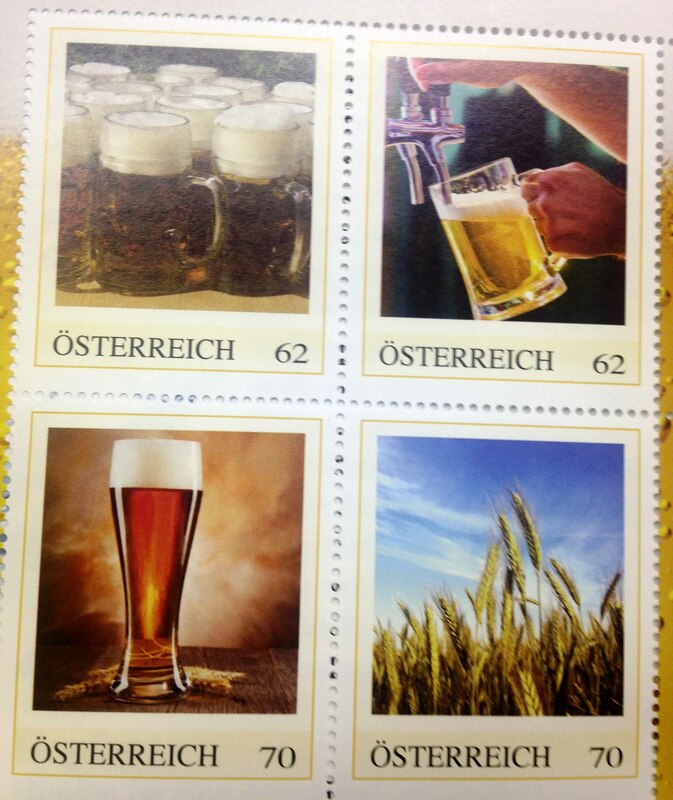 I was excited to see that the Austrian postal service is paying homage to beer and food. Of course the Wiener Schnitzel is famous enough and important enough to get its own stamp! In many regions of Central Europe, May is the month with its own decoration – the maypole, also called the Maibaum. In Upper Austria, it consists of a large tree trunk (usually a birch or fir tree) without bark but still the green tree top; several wreaths with colorful ribbons decorate the top. The Maibaum is usually erected in the main square of the village/town and stays up for the whole month. Plenty of sites and sources list 1466 as the year in which the tradition is first mentioned in writing. 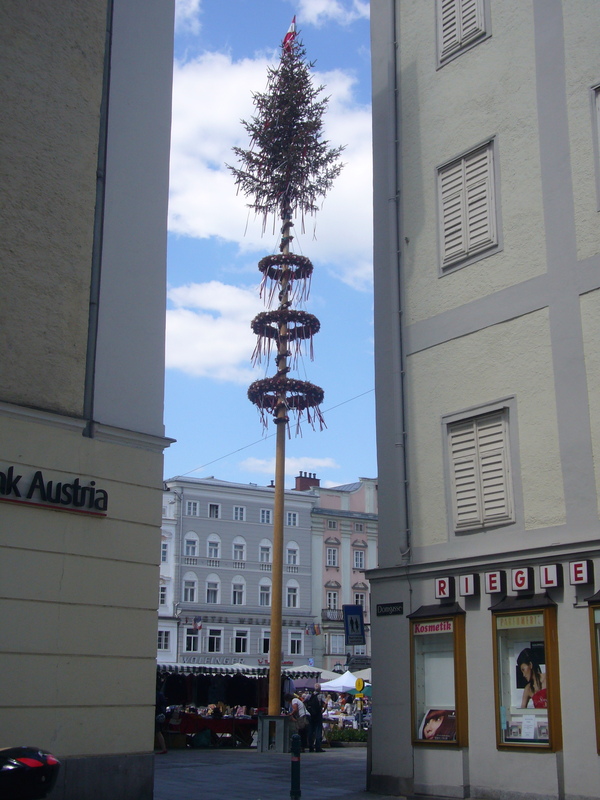 In Upper Austria and many other places, the maypole may be stolen by residents from neighboring villages and thus must be guarded for the first three days of the month. If the Maibaum is stolen even with all these precautions, it can be “bought” back from the thieves – usually with the currency of beer. Traditions connected with the Maibaum include maypole dances/ribbon dances and climbing the maypole. Climbers usually prep their bare feet with tar to stick to the trunk more easily. No other help is allowed to reach the top of the 10-15 meter high and slick tree trunk; at the top awaits a pair bratwurst for the successful climber. May also has its own beer – the so-called Maibock, a stronger beer with 6-7% alcohol but always a golden color and rather hoppy. 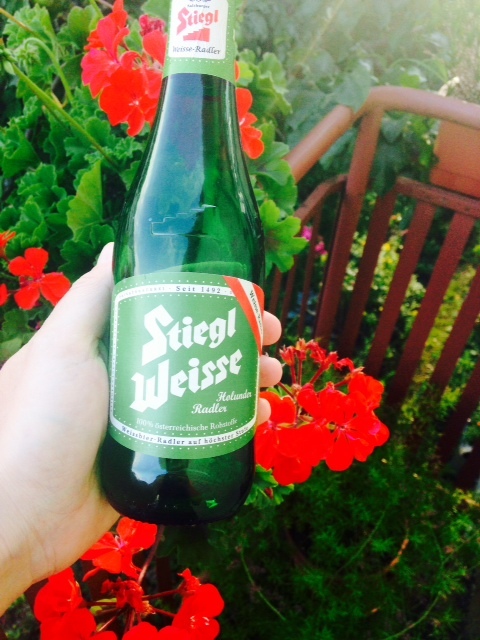 With its many traditions, its own beer, plenty of official federal holidays in Austria (four working days off in May 2015) and the weather finally warming up, May is truly a fabulous month in Austria. 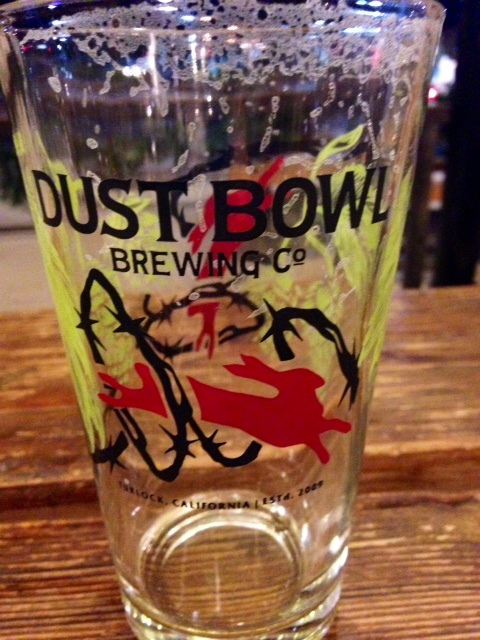 Another weekend and then Octoberfests in Northern California are nearly over for this year. 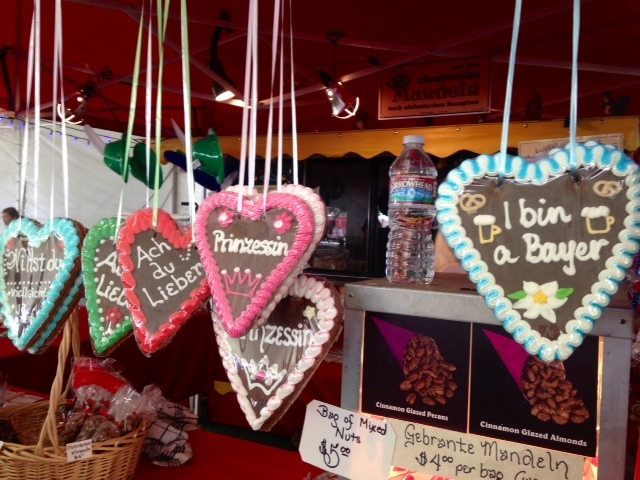 I am amazed that this Bavarian tradition/event has become so popular in the U.S. According to data from the German Magazine Spiegel, this is not that unusual since over 3,000 Oktoberfests are celebrated worldwide. I have to admit that I have never been to the Oktoberfest in Munich when I lived in Europe; I am now kind of regretting that oversight. In contrast to most American tourists to Germany, I have not even been to the Hofbraeuhaus even though I have been to Munich plenty of times. 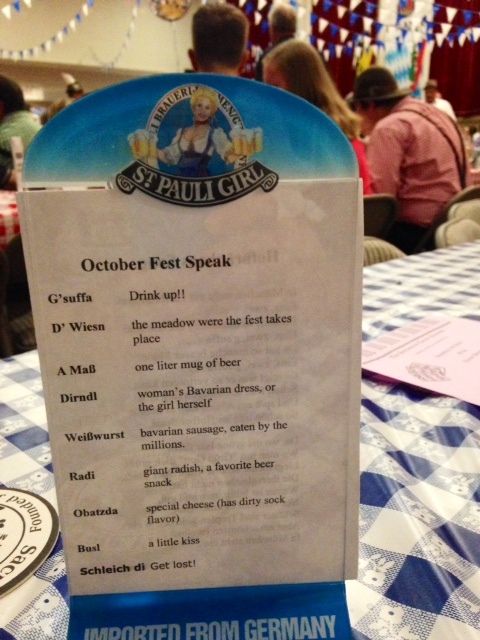 The irony is that I have attended many American versions of the Oktoberfest since I have moved here. 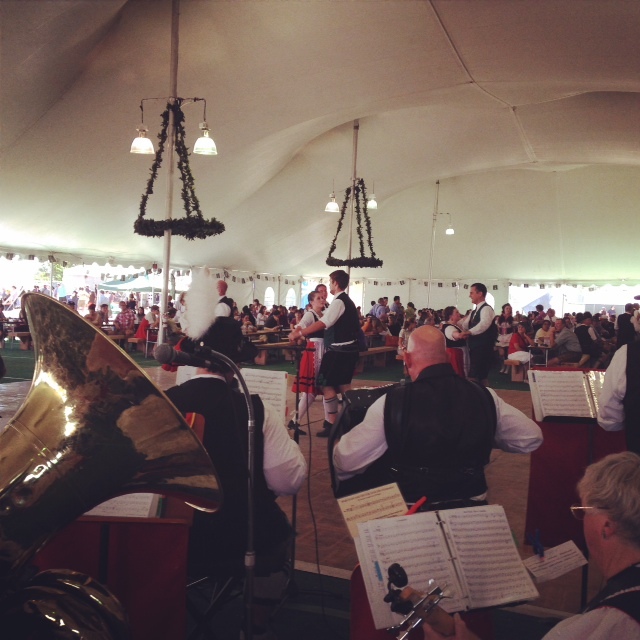 Since I have joined a Bavarian folk dance group, I am now also performing at plenty of these events; the weeks of performances have become a fifth season with its own traditions, atmosphere, and energy. 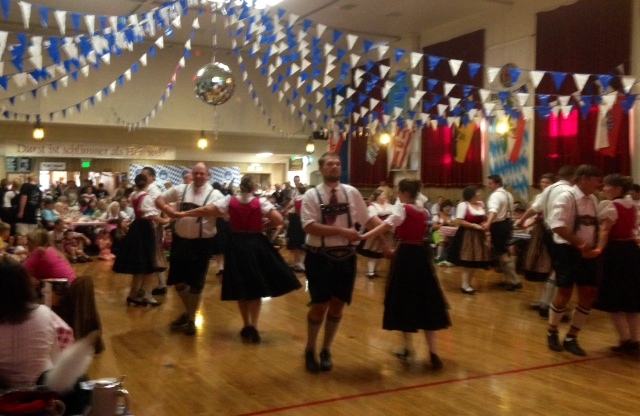 Since joining the Bavarian folk dance group at the beginning of the year, I have learned about other German and Austrian folk dance groups in North America, which are organized into something called a Gau [which I see as odd choice but more about this some other time]. A whole new sub-culture has revealed itself. The irony for me is that I have learned more about traditional Austrian and Bavarian dress, hairstyles, dances, and songs than I have ever known when I actually lived in Austria. 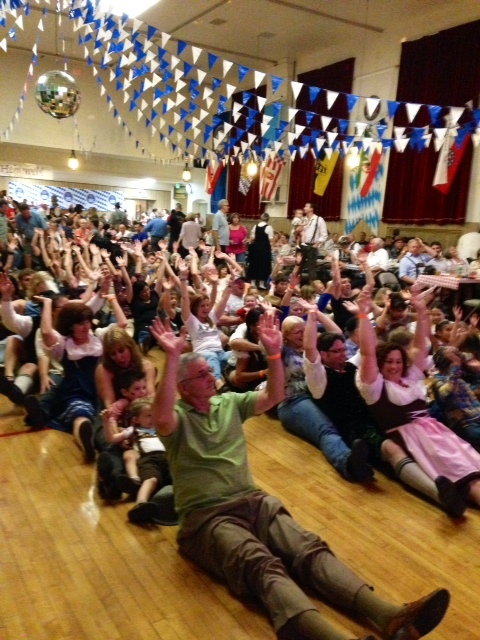 Now that I am living in the U.S., I dance landler and polkas and dress in a dirndl nearly every weekend day throughout September and October while I would not have been caught dead at these events as a teenager in Austria. I am not sure if this change had occurred because I am now older or because I have moved away from Austria or maybe it is a mixture of both. Another example of how common it is to drink beer not just at any time but also anywhere is a recent trip to Gmunden on Traunsee. The city was getting ready for a mountain marathon or some type of race along those lines, and athletes already arrived on that evening to pick up numbers, start packages, and more on the town square by the lakeside. Sponsors of the race had little stands with advertising material and also products. Not a competitor but a wandering tourist, I nevertheless received a free goodie bag with food and of course beer – ok, not beer per se but a Radler. Since there is no open-container law (that I am aware of), the late afternoon now included a beer at the lakeside of Traunsee while I was watching sailing students practice turns and tourists maneuvering small motorboats across the lake. 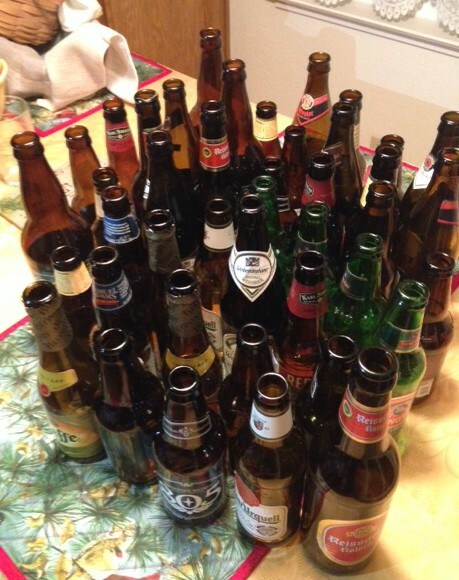 Radlers – a mixture of beer with soda – come in a variety of options. 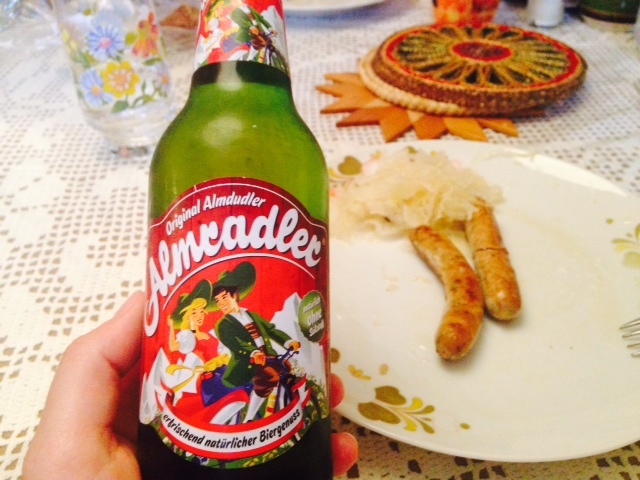 The traditional Radler consists of beer with lemon soda [more or less sparkling lemonade]. Recently, I found more options such as beer with grapefruit soda, with elderflower soda, with mountain-herb soda, and with a pink energy drink. 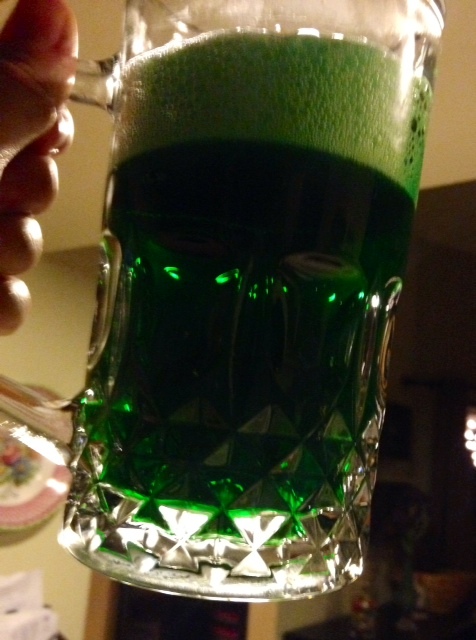 It seems pretty much anything can be mixed with beer. 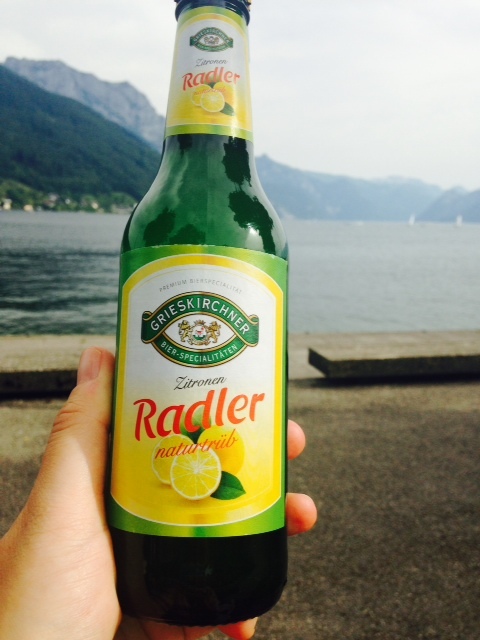 It is common to drink beer and Radler anywhere and at any time. This is the most obvious in the practice of Fruehschoppen typically on Sunday mornings. In the past reserved for men/farmers after Sunday mass, this early beer fest with plenty of beer, bratwurst, and of course a band starts usually around 10 in the morning [I have seen some advertised as starting at 8]and can last deep into the afternoon. Nowadays, whole families attend together, but the atmosphere usually becomes rowdy and loud rather quickly. One Sunday, my cousin and I attended the Fruehschoppen of the local marching band competition. 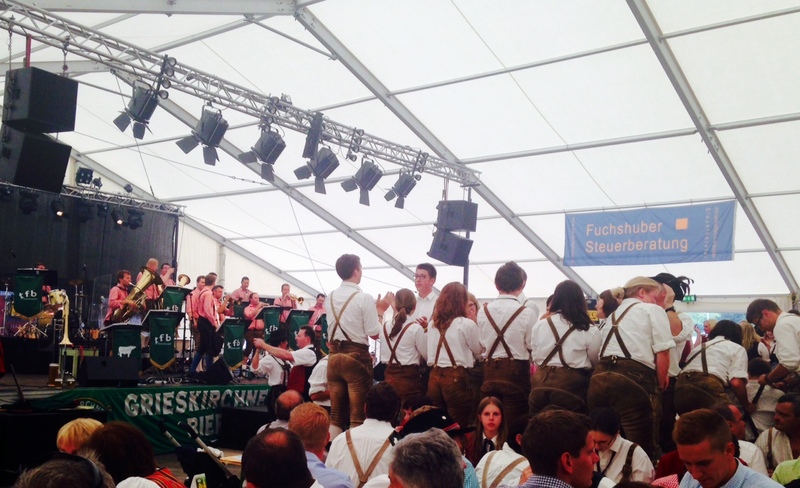 Just half an hour into the Fruehschoppen, groups/bands were standing on benches, singing along, and “prosting” with their beersteins. 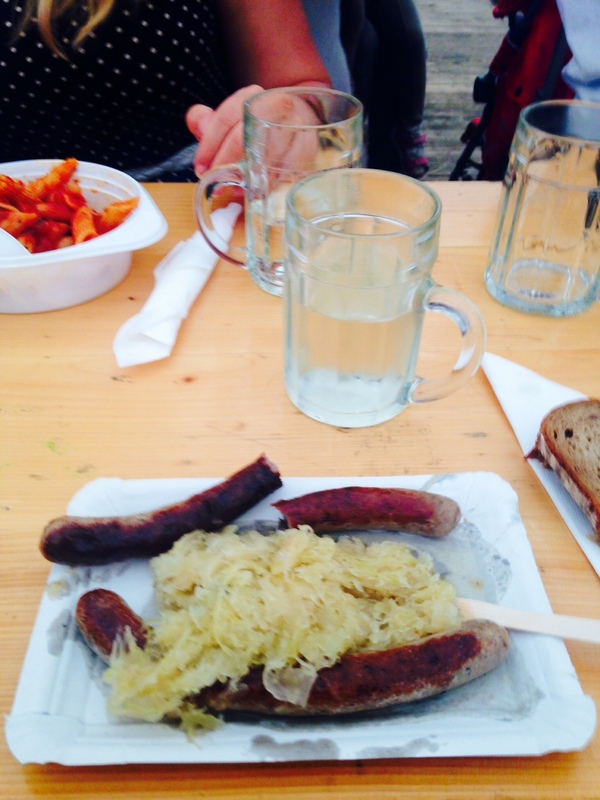 Somehow bratwurst with sauerkraut in the morning did not sound bad to me even at 10 a.m. but beer did, and so I chose white wine [Gruener Veltliner] mixed with sparkling water (“A G’spritzter”). Of course, Fruehschoppen means Dirndl and Lederhosen. 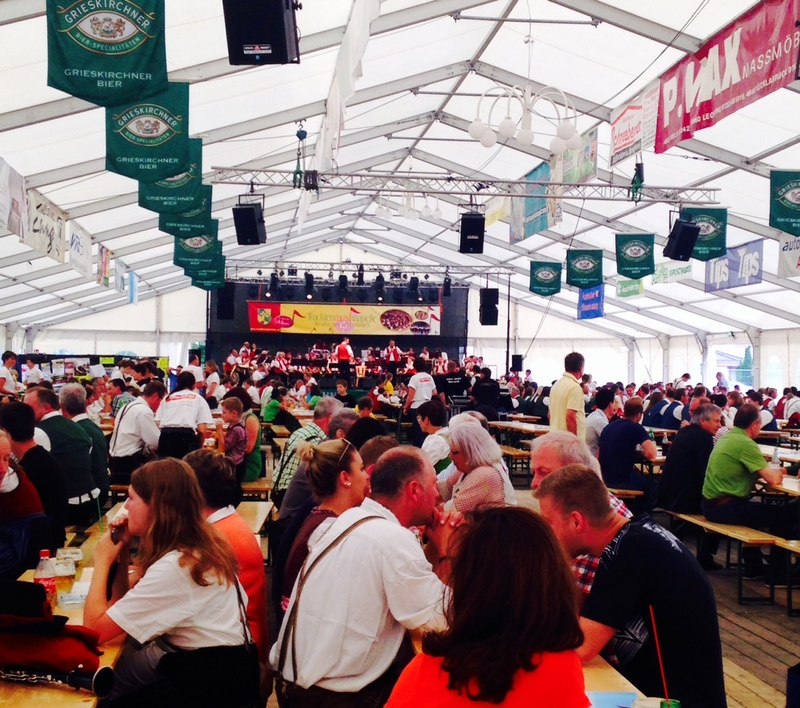 More people joined us at our table, regular repetitions of “Ein Prosit auf die Gemuetlichkeit” were sung, and more rain fell outside the beer tent; all in all, a pleasant morning that turned into mid-afternoon before we left. PS: Gemuetlichkeit is a tough term to translate – it describes a mixture of coziness, laziness, comfort, feeling of being home, and sociability. That a place, event, or visit has become gemuetlich is a great reason why one does not want to leave.